The complete poem “The Hero's Path” is listed in the text below. 8. Poems And Reflections LLC reserves the right to change the Purchase and Usage Terms and Conditions at any time. Please check back regularly during the time that you have a poem posted online/ digitally, or in a recurring vocal or print format to make certain that the Poems And Reflections LLC Purchase and Usage Terms and Conditions have not changed. *Note: The date of this most current version of the Poems And Reflections LLC Terms and Conditions is: December 14, 2014. 9. Posting the poem “The Hero's Path”, or any other poem from this poemsandreflections.com website, indicates that the person or entity posting/ using/ sharing the poem has read and has agreed to abide by all of the Poems And Reflections LLC Usage Terms and Conditions listed above. 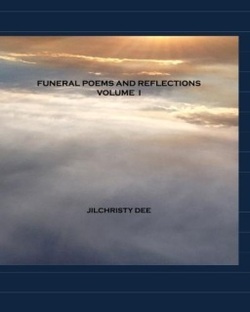 Funeral Homes, Clergy, Funeral Celebrants, Grief Counselors, and Non-Profit Organizations MAY refer people to this website to find poems for funerals or memorials; however, they MAY NOT download these poems and present them to people who have not accessed this website. And we all thank God that you lived! Website Copyright ã 2010-2014 Poems And Reflections LLC. All Rights Reserved.